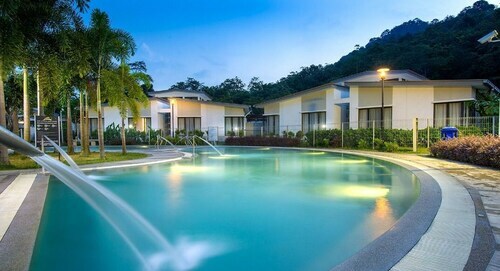 Considered locking in a Bentong holiday package? It's a breeze with Expedia, and you'll be able to buy some fancy dinners or souvenirs for your buddies back home with the cash you save. Secure a travel package on Expedia and save up to 55%*. Within a matter of minutes, you can organise everything you need for your next adventure through our enormous database. And — with more than 400 partner airlines and 321,000 properties from all around the world, you'll have the freedom to mix and match! It can be quite pleasant to just amble around the streets in a new place, but sometimes it's a wise move to have a plan. 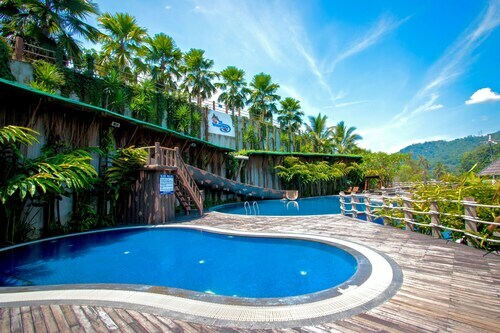 Grab your travel itinerary — we have some fantastic ideas for your forthcoming Bentong holiday. Get back in touch with nature at Lentang Forest Recretional Park and see the valuable work they're doing to preserve vulnerable areas and species. Still have some time to spare? Feel a sense of accomplishment as you come close to the top of Mount Nuang. With impressive views in every direction, you'll feel like you're on top of the world! 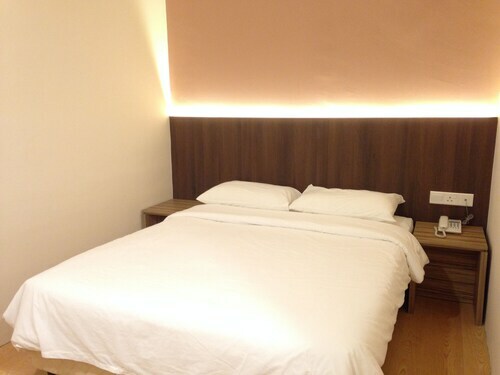 There are presently no Bentong properties listed on Expedia. However, Janda Baik, some 10 miles (16 km) away, has a good range of options available. 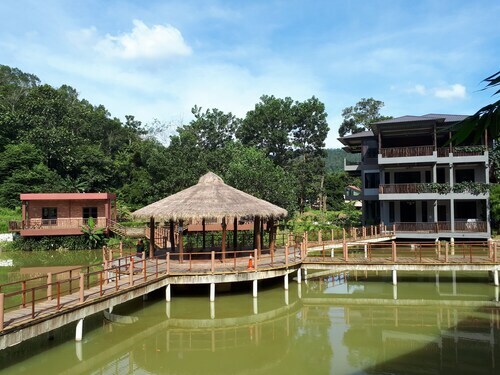 The nicest options in Janda Baik are The Chateau Spa and Organic Wellness Resort, Resorts World Genting - Awana Hotel, Colmar Tropicale, Cherengin Hills Convention & Spa Resort, Hotel Seri Malaysia Genting Highlands, Suria Hill Country House and Suria Hot Spring Resort Bentong. 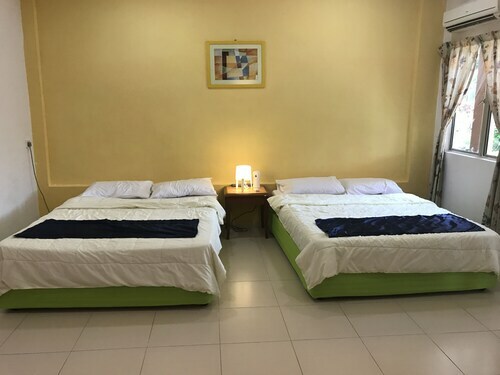 The airport probably isn't going to be the most memorable part of your adventure, but there's nothing like the excited thrill of knowing that your well-deserved trip to Bentong is just a flight away! Once you've landed at Kuala Lumpur International Airport (KUL), you'll be 45 miles (72 km) from the heart of town. 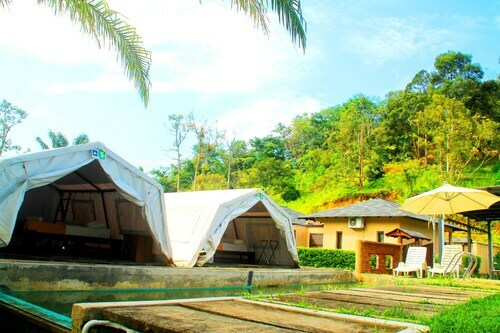 Situated in Bentong, this lodge is within 25 miles (40 km) of Genting Strawberry Leisure Farm, Genting Skyway and Chin Swee Cave Temple. Genting Highlands Theme Park and Batu Caves are also within 32 miles (52 km). 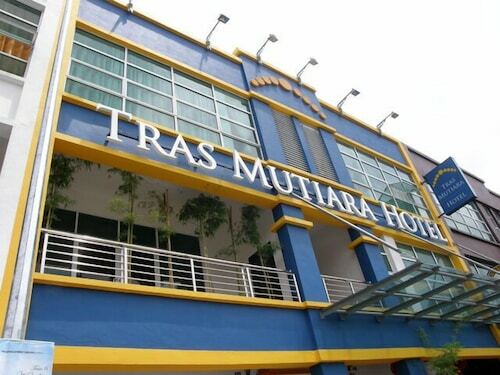 Situated in Bentong, this lodge is within 25 miles (40 km) of Guang Yin Temple, Raub Square and Raub District Mosque. Lentang Forest Recretional Park and Fraser's Hill Golf Club are also within 32 miles (52 km). 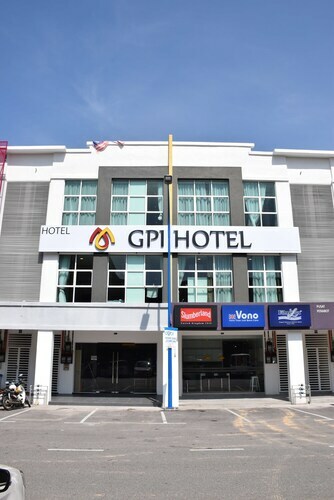 Situated in Bentong, this guesthouse is within 32 miles (52 km) of Genting Strawberry Leisure Farm, Genting Skyway and Kuala Gandah Elephant Sanctuary. Chin Swee Cave Temple is 32.2 mi (51.8 km) away.